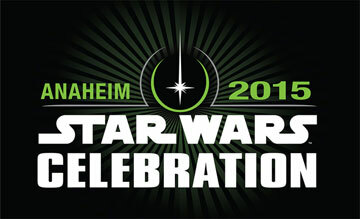 The biggest attraction at the Star Wars celebration in Anaheim, California today is going to stream live and we’ve got it right here for you! Star Wars: The Force Awakens director J.J. Abrams and Lucasfilm president Kathleen Kennedy will take the stage at 10:00 a.m. PDT (1:00 p.m. EDT) for a Celebration kickoff panel. They’re expected to reveal plot details, as well as the first poster and the full-length trailer. The new Star Wars cast includes Mark Hamill, Harrison Ford, Carrie Fisher, Andy Serkis, Adam Driver, Domhnall Gleeson, Oscar Isaac, Max von Sydow and Lupita Nyong’o. Enter to win a trip for 2 to Los Angeles to see Overlord!